The necklace shown was part of a collection that has been sold. This necklace was so popular that I have decided to bring it back! This is a MADE to ORDER item only. 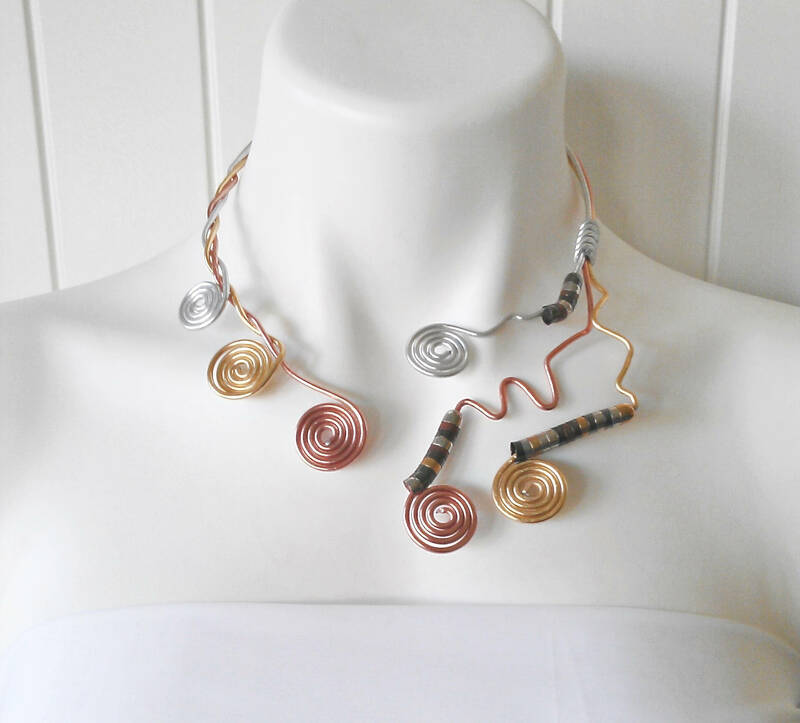 Necklace is made with three layers of 12 gauge aluminum wire that is braided and spiraled into a unique abstract design. Necklace is fully adjustable and needs no closure as it is put on from back-to-front. Necklace length is generally 20" but can be shortened or lengthened to your desire. This necklace can be designed in a variety of colors including what is shown, another three color combo or one solid color. Please inquire about available colors before ordering. I love beads in all shapes and colors. I also love WIRE! Wire is an absolutely fun medium to make jewelry with. It is able to be shaped into a variety of designs to create truly one of a kind pieces. 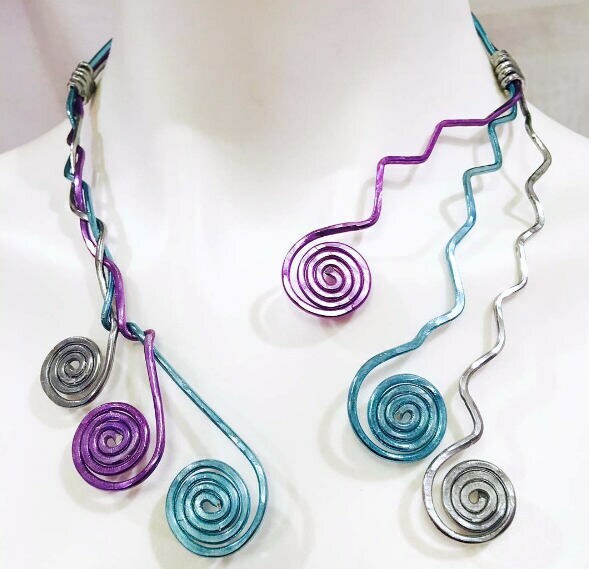 All wire jewelry is created using a soft aluminum wire that hardens when hammered. The process is exciting and the outcome truly stunning!